The Province of Samut Sakorn has produced some of the Great Kroo Ba Ajarn Master Monks of our lifetime, including the great Luang Por Rung (Wat Ta Graber), the great Olden Days Guru Luang Por Heng of Wat Ban Khom. But another name would come more obviously to mind, namely that of the Great Luang Phu Rod Puttasando, of Wat Bang Nam Won, so famous for his Pra Pid Ta, Pha Yant, Takrut, and Roop Muean Coins. 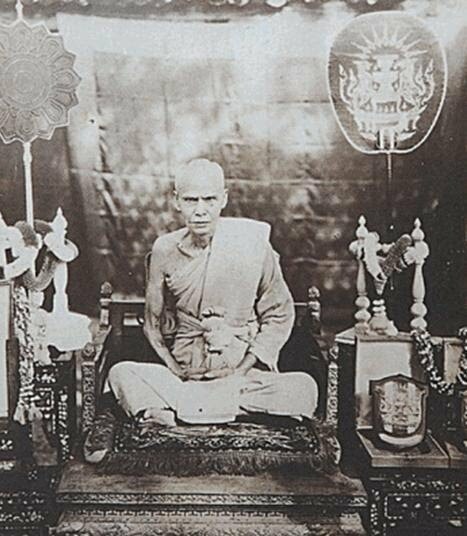 The name of Luang Phu Rod cannot be omitted when speaking of the Great Samut Sakorn Masters, being one of the greatest Masters of that Province in History. 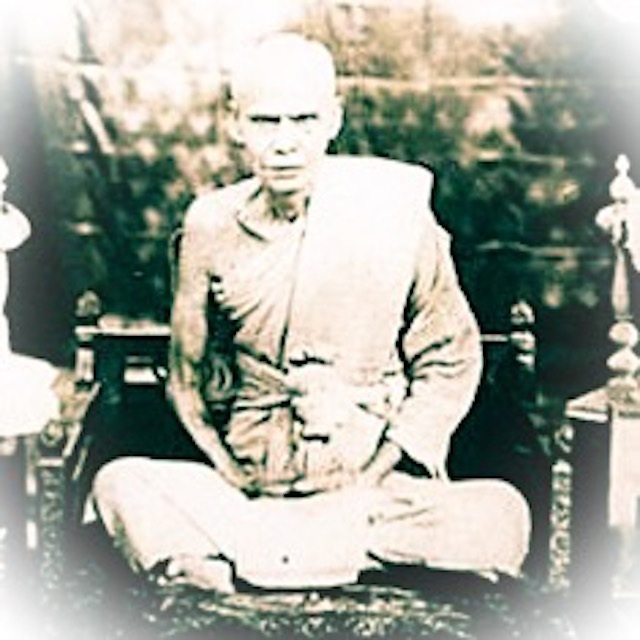 Luang Phu Rod Puttasando was born in the year 2416, and lived 72 Years, passing away in the year 2488 BE. 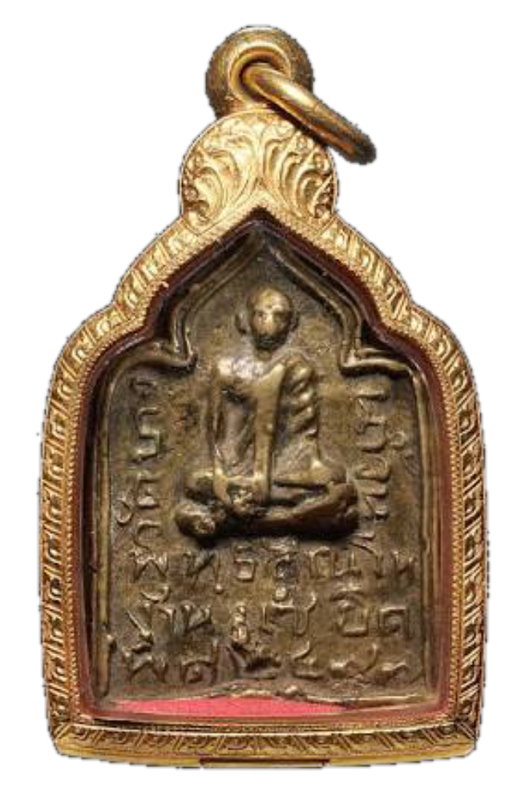 Luang Phu Rod was a Monk who was known to have had powerful Wicha to make amulets, and was believed to have possessed the Abhinya Supernatural Powers. Apart from his coin amulets, his many Krueang Rang Talismanic charms, such as his inimitably carved Pra Pid Ta amulets, Singha Lions, Choo Chok, Pha Yant, Takrut, and his famous Phaen Yant Hua Sao Pillarhead Yantra. His Phaen Yant Prateep Singh, and his Magic Rings are also highly sought after and regarded, but are very difficult to find and collect. His Pid ta are perhaps the most avidly collected, because most of his coins are beyond the financial reach of most Thai Buddhists, whereas the Pid Ta is still affordable to some, if lucky enough to come across one. 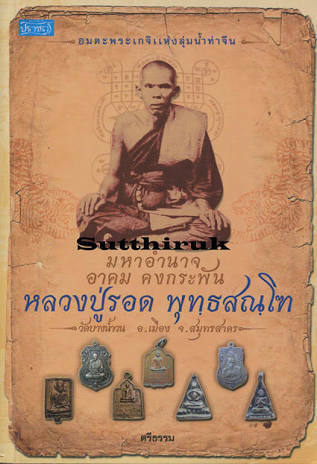 Below; One of many Book Publications on the Life, Magical Trajectory, and Amulets of Luang Phu Rod Tammasando. His carved wood and ivory amulets are seen to differ with each individual amulet, but the inimitable handiwork of the artisan is always recognisable. 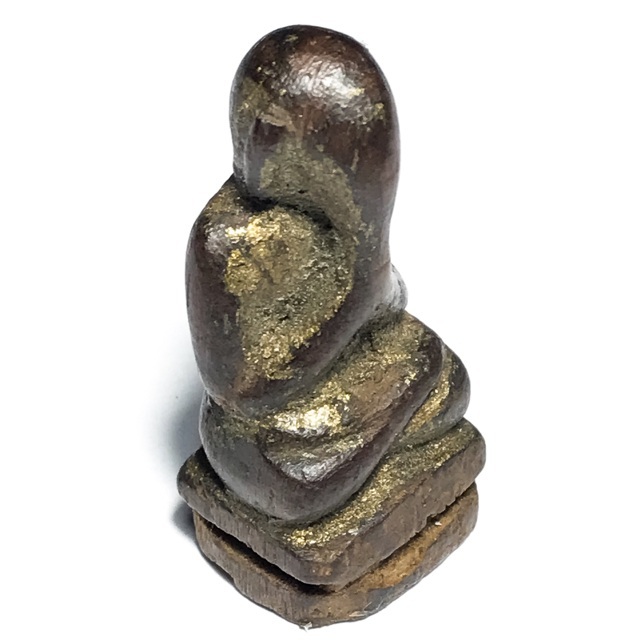 This is the nature of Talismanic hand carved amulets, and in olden days, each amulet was made individually carved, and according to how each piece of wood allowed the design to flow. Various kinds of sacred wood or ivory or other materials, would dictate the level of detail and accuracy with which one could carve an amulet, as well as how hard it is to fashion the surface. In the case of his carved Pid ta for example, the shape and size will differ according to the grain, and size of the wood, and will sometimes make use of natural curvature to reveal forms which are irrepeatable. despite this, a Pra Pid Ta Luang Phu Rod Wat bang Nam Won should be easy to recognise for its style. The design quality of each amulet is seen also to differ accordingly, ranging from the simply carved to the exquisitely filigrain miniature masterpiece. 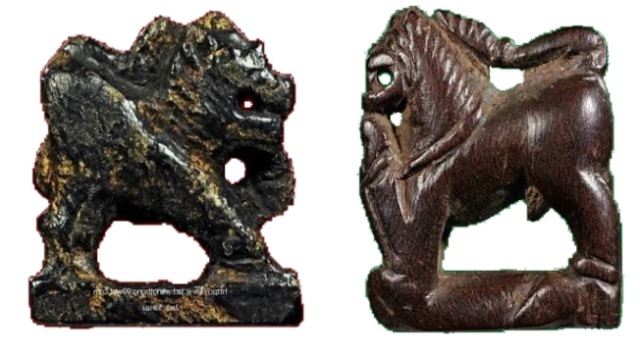 We can see this in the below examples of different hand carved Choo Chok (Jujaka Beggar) amulets of Luang Phu Rod, which reveal differing levels of handywork. 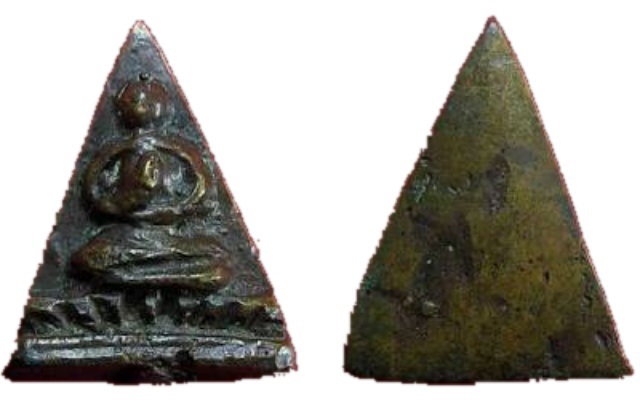 Luang Phu Rod’s rarest amulet is said to be the Rian Sae Yid Pim Rian Job, which is a slightly differenly filed down version to the standard Sae Yid coin. 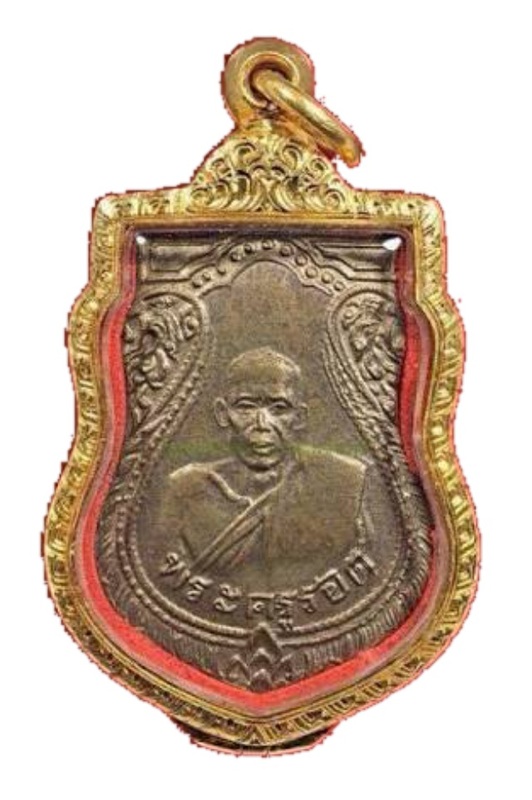 It is said that Luang Phu Rod only gave the Rian Job to his closest Devotees and Apprentices, and is hence the most difficult amulet to find a photograph of, much less an actual example to study. 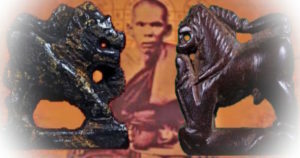 Below; two exhibits of Luang Phu Rod’s famous Singh Gae carved Himapant Lions – very popular amulets with local devotees for the belief in the miracle of the temple lion guardian statue transforming into a tiger to scare away thieves, which was such a famous legend during the times of Luang Phu Rod. His amulets have spawned many hundreds of tales of miraculous lifesaving events and lucky fortunes over the last half century, which is part of what has placed this Master at the Pinnacle of his Genre of Amulets. 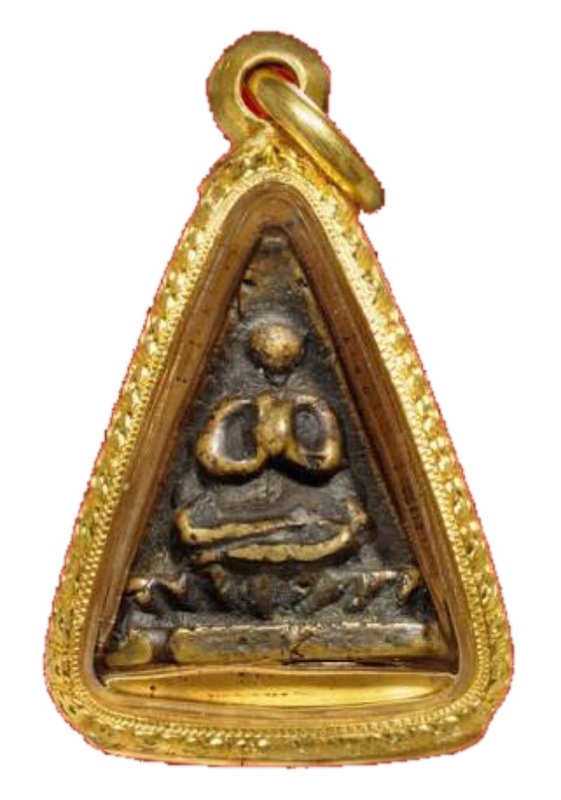 It is said that he who wears the amulets of Luang Phu Rod will instil fear into the hearts of ill wishers and enemies, and will be safe from their ill intentions. 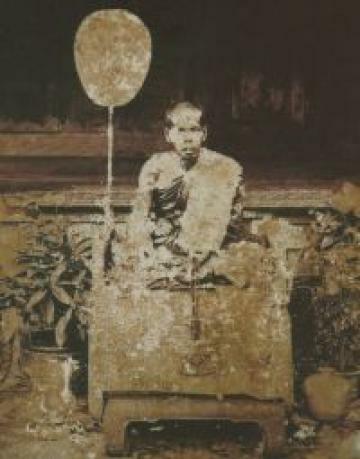 There are some special idiosyncrasies for which Luang Phu Rod was famous, such as his refusal to perform disrobing ceremonies on monks who had ordained with him, and would send them to another Upachaya to disrobe. This was because when Luang Phu Rod would agree to ordain somebody as a monk, they had to promise never to disrobe again. 1. 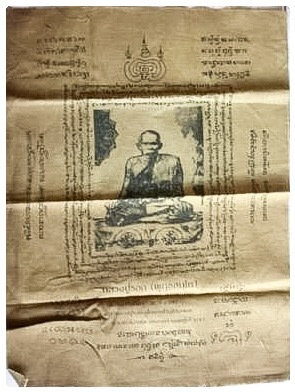 Once during the Ngaan Prajam Pi yearly Wai Kroo Ceremony, the sky clouded over with dark clouds and was about to let loose with a torrential rainstorm, and Luang Phu Rod came out and made a Pha Yant Tong Fang Takrut (Triangular Yantra Flag with Scroll Spell inserted) and Enchanted it with Incantations. he then instructed his assistants to raise the flag up to the top of the flagpole of the temple. As the yantra Flag reached the top of the flagpole, the massive dark clouds in the sky broke apart and dissipated, leaving a clear blue sky in its place. 2. Waja Saksit (Wajasit = Power to change things with Speech; Spellcasting) – Once a large group of country folk came to pay devotion at the temple, and were sleeping in the tenmple grounds, as a swarm of mosquitos came and were biting everybody to the point where nobody could sleep or relax. Luang Phu Rod heard of this, and came to tell the devotees to go and sleep inside the Uposatha Shrineroom building. The devotees entered the Shrineroom, and not a single mosquito entered the whole night, and not a single devotee was bothered further. The Shrinerooms are not hermetically sealed and are as easy for mosquitos to enter as any other part of a temple, which makes this event unexplainable, except for the miraculous Waja Saksit of Luang Phu Rod, and the Sacred Power of the Buddhist Shrineroom. 3. Singh Glaay Bpen Suea – Lion becomes a Tiger to Scare Away Robbers from the Kuti Hut of Luang Phu Rod. One day a thief came to break into the Kuti of Luang Phu Rod, but as he was about to enter, one of the stone Singha Lion Guardians of the temple in front of the Kuti turned into a Tiger, and walked up and down in front of Luang Phu Rod’s staircase, and the thief ran away in terror, to recount the tale to the villagers later, which brought the story back to the temple.